PLEASE READ OUR PURCHASE OPTIONS, TERMS, AND CONDITIONS. 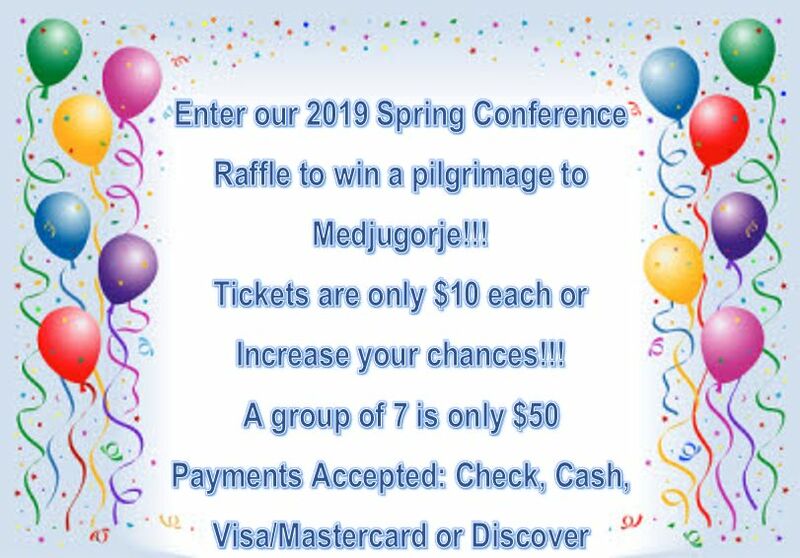 Drawing will be held Sunday April 7, 2019. Sign up on line, by mail or at the conference. Winner need NOT be present to win. Trip includes: Airfare, Hotel, Transportation, Taxes, Breakfasts, and Dinners. NOT INCLUDED: Lunches, Tips, and Baggage fee if airline does not include. Total Trip valued at up to $2295, cannot be redeemed for cash. Trip certificate must be used during 2019 or 2020 calendar year.